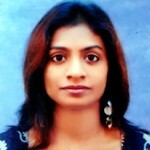 Kerala has a significant Muslim population and during Ramadan, the cuisine of the state takes on an exotic look. There are many delicious and sumptuous Kerala special dishes that are served during iftar, the time when the Muslims break their fast. Some of the delicious Ramadan recipes from Kerala, God’s Own Country, are listed below, just for the foodie in you! 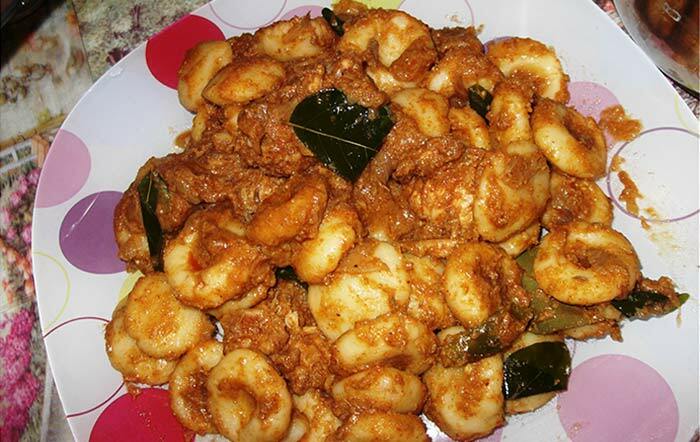 This is a traditional dish among Kerala Muslims. 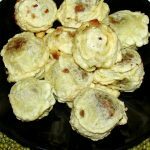 Easy to make, it is usually consumed during breakfast in Ramadan. Grind coconut, cumin seeds and shallots together. Keep aside. Boil water with salt and add the coconut mix and rice flour. Stir well and simmer for about 2 minutes. Cover the pot and let it stay for around 10 minutes. Mix the coconut and rice mixture with a spoon and knead into a smooth dough. Form lemon size balls and roll into thin, round shape. If the dough is sticky during the rolling process, use rice flour. Roast the pathiri on a thick, flat-bottom pan on both the sides. Soak the cooked pathiris in coconut milk to make it soft and enhance the taste. This Ramadan dish is usually served with a spicy chicken, mutton or beef curry. Chicken cutlets make a great iftar snack, especially for kids. The dish is prepared using minced chicken and boiled potatoes. Dice chicken into small cubes. Apply turmeric powder and red chilli powder and set aside for 10 minutes. Pressure cook the chicken until tender and then mince. Heat oil and sauté onions, ginger, green chillies until soft. Add chicken, garam masal and pepper powder to the pan and sauté for another 10 to 15 minutes. Let the mixture become cool and then add the mashed potatoes. Knead the mixture with your hands until all ingredients are well blended. Form small balls and flatten into patties. Dip each patty into the beaten egg and then coat with breadcrumbs. Deep fry the patties until golden brown. Serve these Kerala style chicken cutlets with tomato ketchup. During Ramadan, it is important to eat proteins to keep you going during the long hours of fasting. This is the perfect recipe for Ramadan. Pressure cook the mutton with salt and set aside. Blend coriander powder, chilli powder, poppy seeds, ginger, garlic, turmeric powder, cinnamon, cumin seeds and coconut. Heat oil in a pan and sauté the onions until golden brown. Add the coriander and coconut mix to the pan and sauté further for 10 minutes. Add the cook mutton pieces and cover them with water. Cook until the gravy reduces slightly and then add the gambooge. 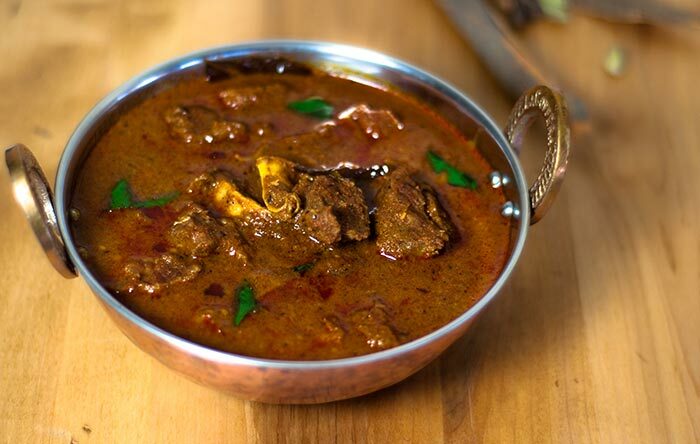 Serve Kerala style mutton curry with appam or idiyappam. You also can serve it with pathiri. This is a traditional sweet snack consumed mainly in the northern part of Kerala during Ramadan. It is made from plantains and rice flakes. Boil the plantains and then mash. Keep aside. Heat ghee in a shallow pan and fry cashew nut powder, chopped raisins, coconut and cardamom. Add sugar to sweeten the mixture. Add rice flakes to the mixture and blend all the ingredients with a spoon. Allow the mixture to cool and then sprinkle some cardamom powder. Oil your palms and form small balls of mashed plantains. Make a hole in the plantain balls with your thumb and stuff the coconut and rice flakes mixture into it. Seal the hole and shape the balls into cylinders. 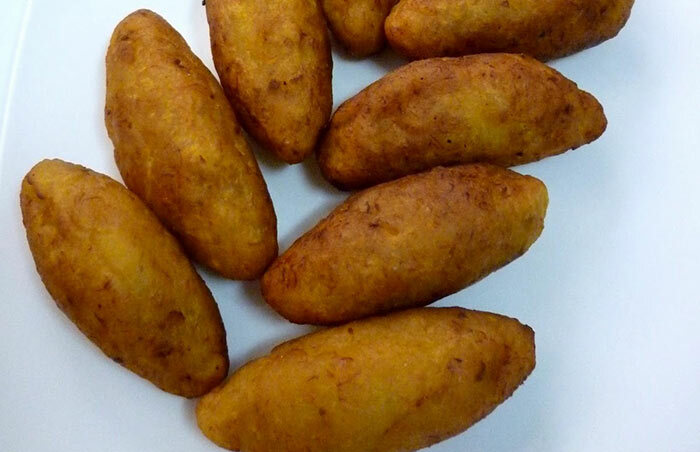 Deep fry the plantain balls until golden yellow. Serve unnakkaya hot. You do not need an accompaniment with this dish. It is delicious by itself. Sukhiyan is a traditional snack consumed in Kerala and is perfect during Ramadan because of its low-fat protein and fibre content. It is made from whole mung beans, coconut and jaggery. Cook the mung beans in a pressure cooker with 2 cups water and pinch of salt. Drain the beans and keep aside. Melt ghee in a heavy-bottom pan and add jaggery. Allow the jaggery to melt, while stirring it continuously. Add grated coconut and mix well; and then add cardamom powder and boiled mung beans. Cook for about 2 minutes and remove from flame. Make a batter with all-purpose flour and water. Add a pinch of salt to the batter. 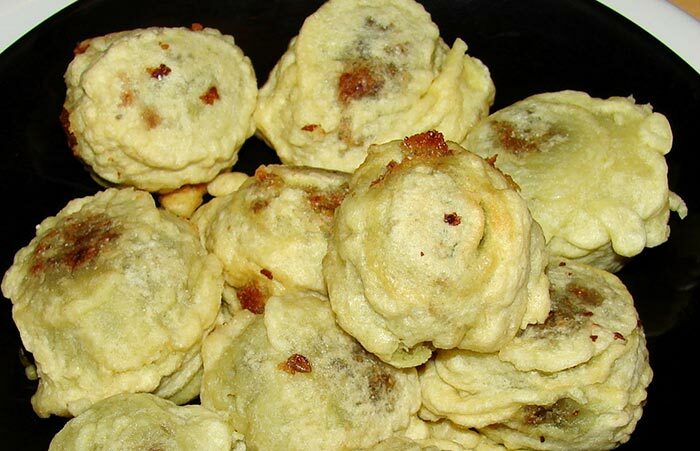 Dip the mung bean balls in the batter and deep fry until crisp and golden yellow. Serve this dish hot. While boiling the mung beans be careful not to over-boil the beans, as this will make it difficult to form the beans into balls. 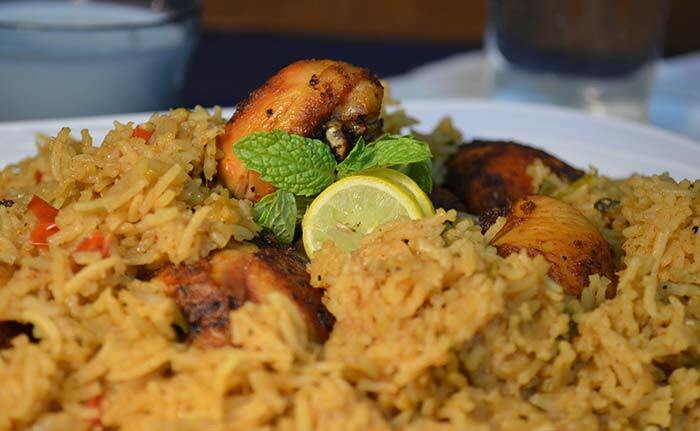 This dish is similar to the Kerala Chicken Biryani and is quite popular during Ramadan in the northern part of Kerala. Mix garlic, ginger, cardamom, cinnamon, lemon juice, salt, two tablespoon oil, cloves and turmeric powder in a bowl. Apply this paste on the chicken pieces thoroughly and set aside in the refrigerator for an hour. Heat oil in a large pan and sauté until translucent. Add the remaining spices, carrots, tomatoes, salt and chicken pieces and sauté for 5 minutes. Once the chicken is cooked, remove with a slotted spoon along with the tomatoes. Pass the chicken broth through a sieve and boil. Cover the pan and let the rice cook. Lightly fry the chicken pieces. Spread the rice into a dish and place the fried chicken pieces. Serve this dish hot with some Raita. It will taste great. 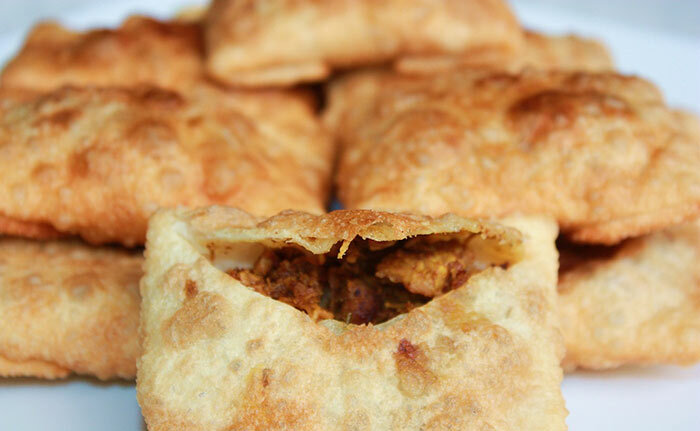 This a traditional Muslim dish that comprises of fried bread stuffed with chicken. It is popular during Ramadan and is served at iftar. Heat oil in a pan and cook the minced chicken with salt and turmeric powder. Sauté onions, ginger, green chillies, coriander leaves, curry leaves, mint leaves and garlic. When the onion becomes brown, add the cooked minced chicken and sauté until done. Make dough of all-purpose flour and make small balls. Flatten the balls with a rolling pin into circles. Add a spoon of the cooked chicken mince in the center and cover with another flattened ball. Seal the sides by pressing and pinching. Make a batter with eggs, a pinch of sugar and cardamom powder. Spread the egg mixture with a brush on each pathiri. Heat oil in a deep pan and fry the pathiri until golden brown. 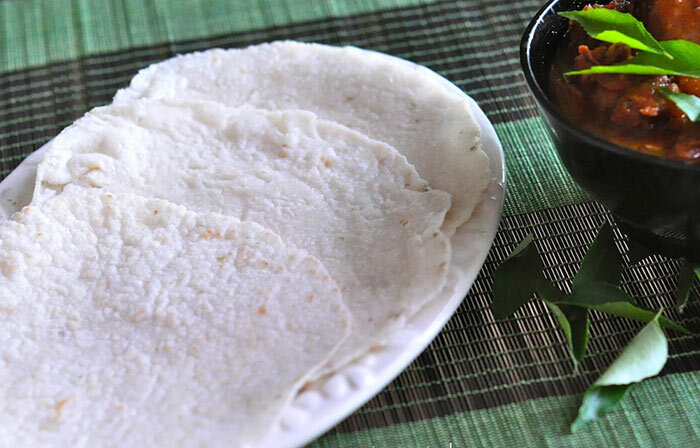 Serve this delicious meat pathiri with ketchup. This is quite a popular dish during Ramadan and many Muslim homes make it for iftar. 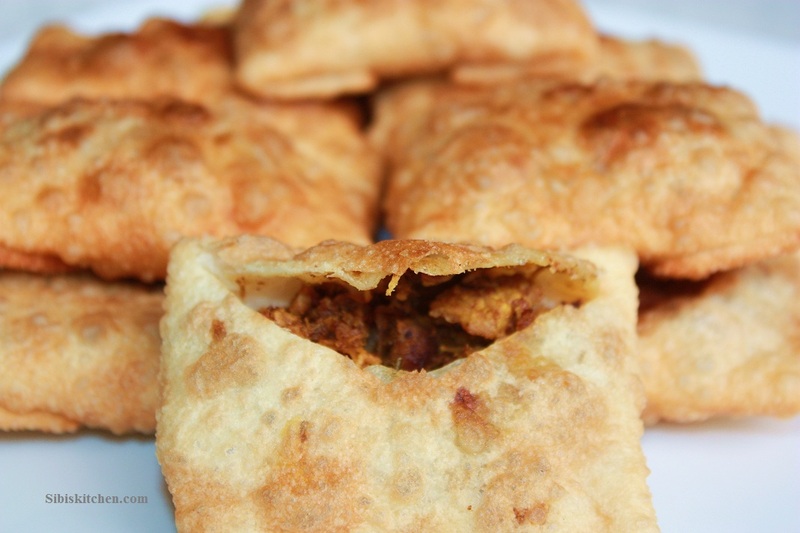 Your guests will love the meat-filled triangles. Add oil and cook chicken with all the ingredients. Dry the water by stir frying. Make dough using all purpose flour, ghee and salt. Roll the dough into thin, rough shapes. Fill the chicken masala into each piece and fold to make a triangle. 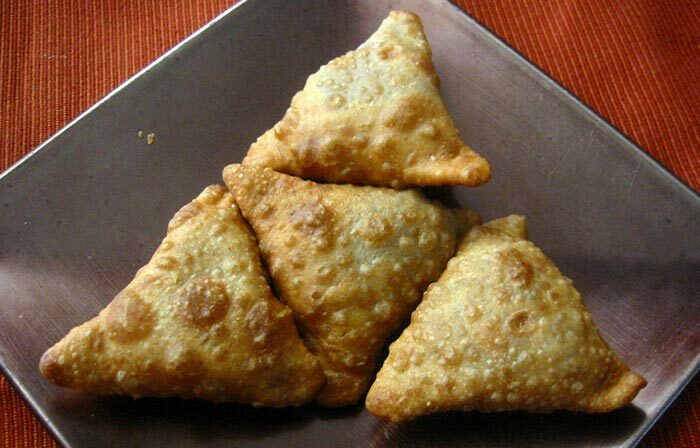 Fry each triangle in hot oil, until crispy and golden brown. 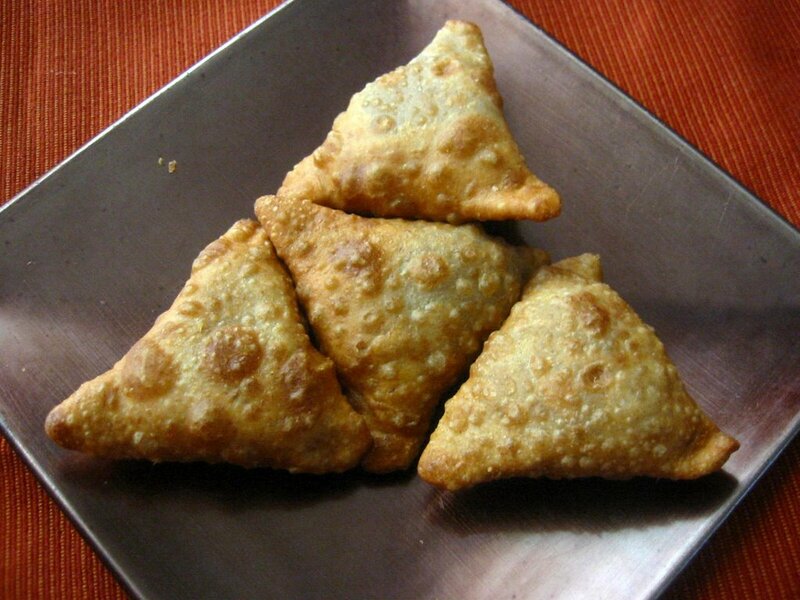 Serve the Malabar samosa with some mint and coriander chutney. 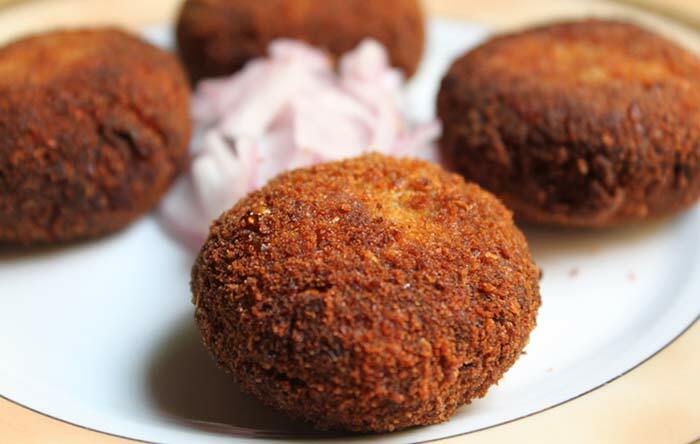 This traditional Kerala dish is made during Ramadan. It is nothing but steamed rice dumplings floating in delicious chicken gravy. Boil 2 cups of water for about 2 minutes. Add salt to the boiling water and 2 cups of rice flour and cook for about 3 minutes. 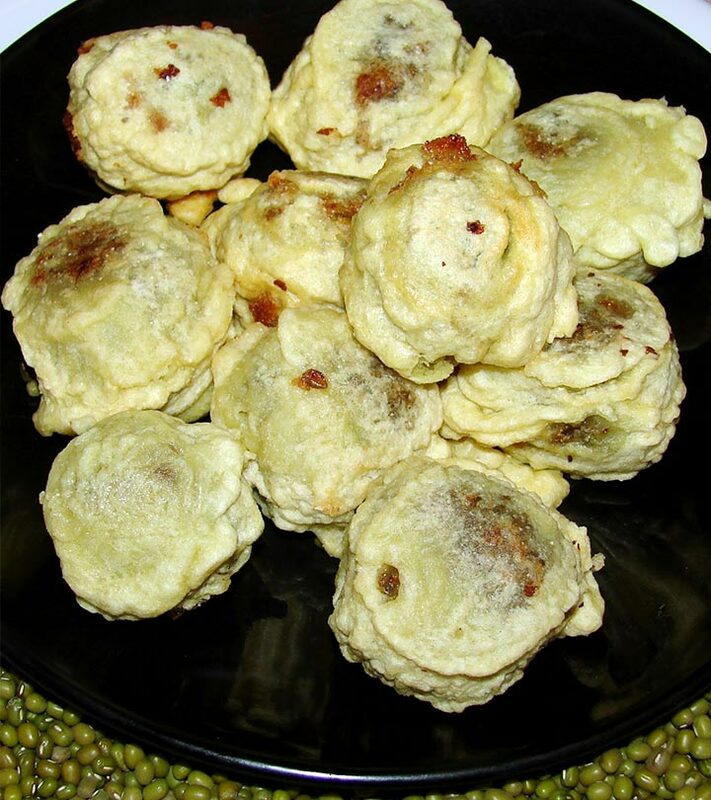 While the rice flour is still warm, mold into small balls. Boil 1 cup water and toss the rice balls in the boiling water. Keep stirring continuously. When the rice balls are cooked half way through, add fennel seeds and coconut milk. Boil for 2 minutes and take the pan from the heat. Your rice dumplings or pidi are ready. Take a pan and roast the grated coconut and grind into a paste. Heat oil and sauté onions, ginger and garlic paste and green chillies for 2 minutes. Add red chilli powder, garam masala, pepper powder and coriander powder and sauté for another minute. Add the chicken, coconut paste, curry leaves and 1 cup coconut milk. Add salt to taste. Cook the chicken for around 8 to 10 minutes. Mix the pidi in the chicken gravy and serve piping hot. This dish is a main course and does not require anything else. During Ramadan, the body gets dehydrated and this refreshing drink is perfect for hydrating your body. Place ice in tall glasses and pour the juice. 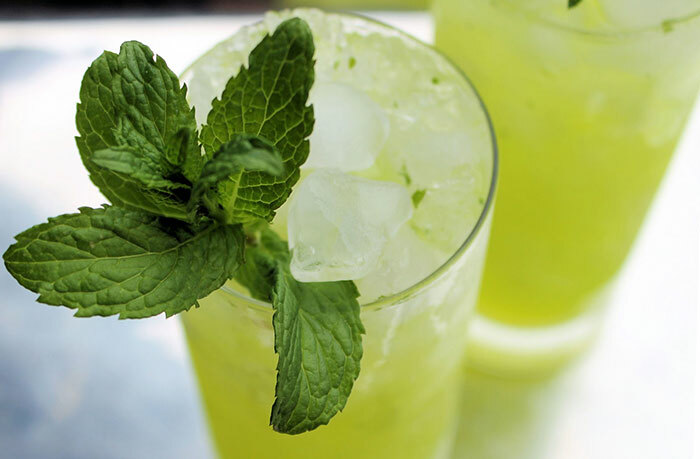 Serve the mint lemon juice immediately, as the green color fades with time. These recipes are filling, nutritious, and full of flavours. You will enjoy feasting on these recipes that will give you strength during your long fasting hours. Try them today and share with us any variation of these recipes that you may have tried.